Many happy returns Mabel on your birthday today (28 January)! 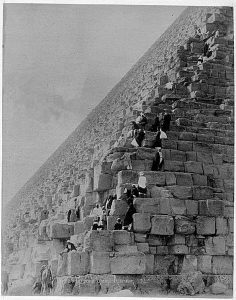 ‘It was splendid being up there’ – Mabel climbing the Great Pyramid of Giza on her birthday – Wednesday 28 January 1885. 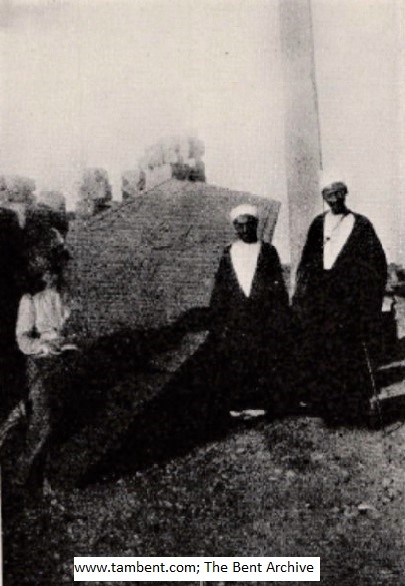 Some Pyramid scalers in 1885 (the year of Mabel’s ascent), by J. Pascal Sébah. Obviously clambering all over them was the thing to do back then; it is not recommended today. 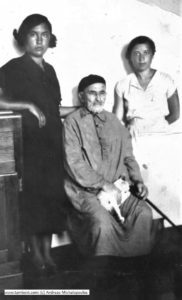 In January 1885, before leaving for a tour of the Dodecanese, Theodore and Mable made a tourist trip to Egypt, taking in, of course, the Pyramids: the Great Pyramid (also known as the ‘Pyramid of Cheops’ and constructed around 2500 BCE), and the smaller Khafre and Menkaure Pyramids. The Sphinx squats in the complex’s eastern quarter. 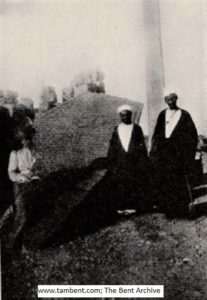 The visit to the Pyramids coincided with Mabel’s 38th birthday (she was born at Beauparc, Co. Meath, on 28 January 1847) and she went to tea as guests of Frederick and Jessie Head (the wealthy daughter of Australian magnate John D. Mclean) at their stylish home, Mena House, below the Pyramids. (Their house still forms part of the Mena Hotel, the Heads buying their home in 1883, a year after their wedding in Wells, Somerset). Mabel does not record whether Frederick was much out of breath after their visit, or feeling unwell, but in any event within a few months he is dead, and poor Jessie (far from actually poor) sold up to another wealthy couple, the Locke-Kings, who turned the house into a fancy hotel – and it remains one to this day. [Thursday] Jan. 29th . I had such a great many birthday treats yesterday, one in particular that I shall never forget unless extreme old age robs me of my memory… A little after 5 we set off for the Pyramids with the gun lent by the porter and enough cartridges for a whole battle. We saw the Pyramids against the sunset sky, a very plain one – all the colours of the rainbow fading and blending one into the other and very few tiny specks of cloud. The simplicity of it suited the Pyramids so well. … After dinner we went out in the bright moonlight and Theodore… went to visit the Sphinx but I preferred to go up the Pyramid, as I had not done it on Monday… I scrambled up all alone. At first it was very hard and I had to crawl, putting one knee up first, as the steps are 3 or 4 feet high, regardless of bruised knees or shins and I felt quite convinced I must have very little stockings left but I am in a position to send a testimonial to the stocking maker. I did not feel a bit frightened or giddy or obliged to keep my face to the Pyramid but looked up and down. My companions were quite out of sight and it felt odd to be alone with the Pyramid and the moon. I shouted up several times ‘Are you near the top?’ ‘Oh! Not nearly’ came down. Then ‘Am I half way up?’ ‘No Mem’ came up. So I gave up asking. It seemed so long and I wondered how it could be possible to get down… I did not get at all breathless. I wondered if ‘Fair Rhodope who as the story tells’ sat on the top of the Pyramid, delighting all beholders, was a poor creature whose clothes had got torn off in the ascent and who could not get down. I thought of the dangers and difficulties in ‘Murray’ and ‘Baedeker’ and determined to read about them and tremble tomorrow, and I banished scornfully a very passing thought of the silk elbows of the only smart frock I have with me, and joyfully and proudly reached the summit, a strangely dressed figure – Hat, silk and velvet brocade body, white lace fichu over it and a blue cloth petticoat with a wide scarlet band, which I quite vainly tried to conceal by tying a black lace scarf round it; the skirt had been discarded before starting. It was splendid being up there and I think it very very unlikely that any other person has been up by moonlight on his birthday before. I wished for a fire escape! Mr. Head and I came down together, sitting and slipping, sometimes having to put two hands together and jump and were glad indeed to reach the bottom safely … We had some tea and got home after a most delightful evening at 1 o’clock. 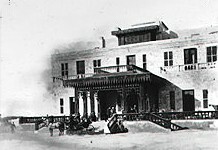 The Head’s residence below the Pyramids, where the Bents had tea, Mina House. Today a boutique hotel on a larger scale; the original house constituting the modern hotel’s dining areas. ‘Fair Rhodope, as story tells,/ The bright unearthly nymph, who dwells/ ‘Mid sunless gold and jewels hid,/ The Lady of the Pyramid!’ (1827, ‘The Epicurean’). Mabel’s lines are from the Egyptian entries in her ‘Travel Chronicles’, Vol. 2, pages 11-13 (Archaeopress, Oxford, 2012). The photographs include one of some Pyramid scalers in 1885 (the year of Mabel’s ascent), by J. Pascal Sébah. Obviously clambering all over them was the thing to do back then; it is not recommended today. The other photo is of the Head’s residence below the Pyramids, where the Bents had tea, Mina House. Today a boutique hotel on a larger scale; the original house constituting the modern hotel’s dining areas. Author Gerald BrischPosted on 28th January 2018 28th January 2019 Categories Africa, Biographical, Mabel's ChroniclesLeave a comment on Many happy returns Mabel on your birthday today (28 January)! 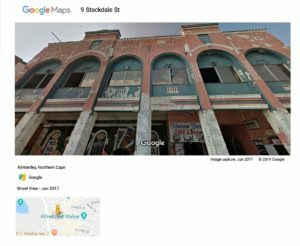 Harare being in the news (November 2017), here is Mabel’s sketchy account of their brief sojourn there in September 1891. 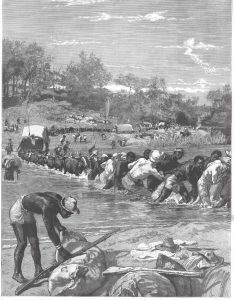 Mabel and Theodore were at the ‘Nwanetsi’ river on 18 May 1891 and were soon camped by the Umfuli, some 40km due south of ‘Fort Salisbury’. 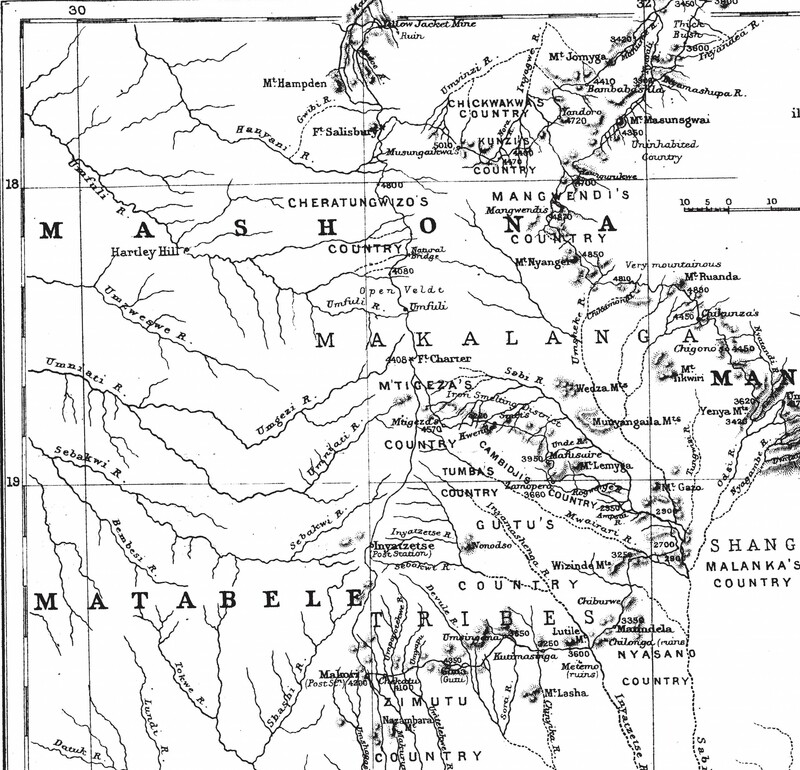 Cecil Rhodes’s exploring ‘Pioneers’ (see later) had decided to halt their expedition between the kopye, called by the Mashonas ‘Harari’, and the river Makubisi, and to build their base there. The fort took its name from Robert Arthur Talbot Gascoyne-Cecil, 3rd Marquess of Salisbury (1830-1903), then Prime Minister. Later, F. C. Selous recorded: ‘It is a matter of history that on the 11th of September 1890 the British flag was hoisted at Fort Salisbury, on the banks of the Makubisi river, and the expedition to Mashunaland thus satisfactorily brought to an end.’ The modern historian Tawse Jolie elaborates: ‘A full-dress parade was called at 10 a.m., 13th September, 1890, the seven-pounder gun fired a Royal Salute, Canon Balfour said a prayer, and the British Flag, the Union Jack, was hoisted by Lieut. Tyndale-Biscoe of the Pioneer Column.’ The site of course is now the modern capital of Zimbabwe – Harare. Much conspicuous by his absence from Mabel’s pages is Dr Leander Starr Jameson (1853-1917). 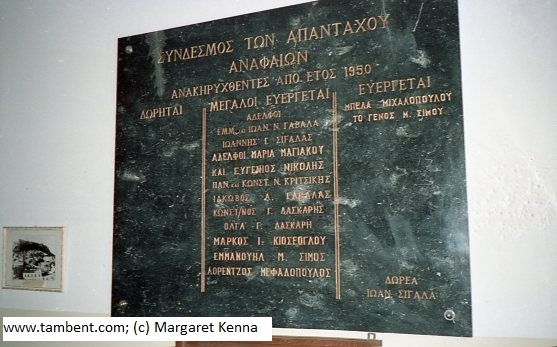 His exploits for Rhodes, his patron, are legion, none more so than the infamous ‘Raid’ of December 1895, and he was by Rhodes’s side when he died in 1902. By September 1891 Rhodes had appointed him as his deputy in Mashonaland and he arrived a few days after the Bents had left Fort Salisbury. 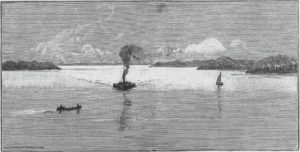 Rhodes himself and his party arrived at the mouth of the Pungwe on 26 September 1891, and headed west to Fort Salisbury as Theodore and Mabel were about to move east – they missed crossing paths when the Bents made their detour north. Earlier, however, they did encounter another of Rhodes’s great marshals and later philanthropist, Alfred Beit (1853-1906). 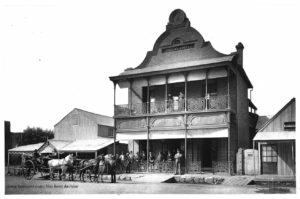 Born in Hamburg to a well-to-do family, he arrived in Kimberley in 1875 to deal in diamonds and within a few years had become Rhodes’s colleague and ally and one of the four principal founders of De Beers. 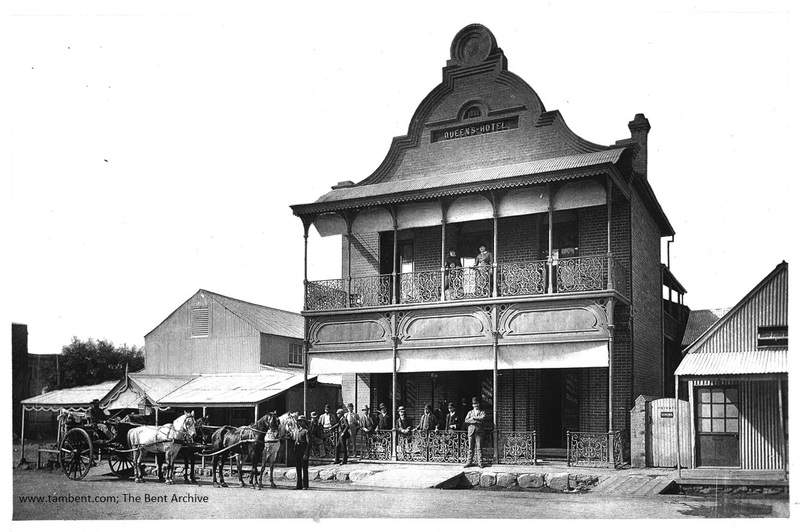 Diamonds and gold provided the capital on which Rhodes’s associates thrived, but the Barberton fields in the eastern Transvaal (as mentioned by Mabel) promised much but delivered little. 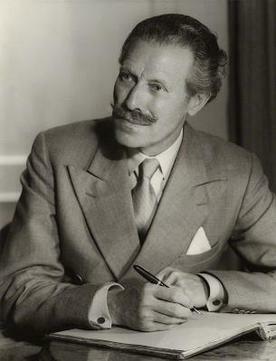 Beit died soon after Rhodes and left his fortune as the Beit Trust which focused on educational projects in Zimbabwe. Under the concession negotiated by Charles Rudd (13 October 1888) for rights from Chief Lobengula to develop the territory of ‘Mashonaland’, Cecil Rhodes, via his British South Africa Company, quickly assembled in 1890 a small armed force (‘The Pioneer Column’) to annex the lands. The force assembled in May on one of Rhodes’s farms outside Kimberley and by 28 June they were at Macloutsie camp. Headed overall by Col. E. G. Pennefather and Sir John Willoughby the troopers mainly comprised well-connected young adventurers, given promises of grants of land by Rhodes. 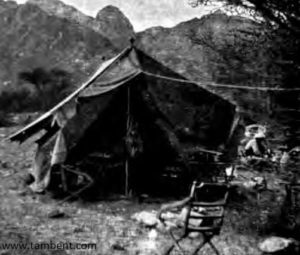 The contingent crossed the Tuli River and headed roughly north, over 600km of difficult terrain, towards Mount Hampden. 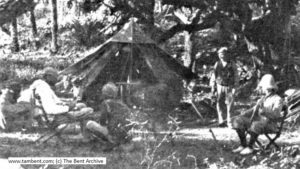 Here they established a base (12 September 1890) that became known as Fort Salisbury, then Salisbury, and now Harare, capital of modern Zimbabwe. Rhodes, the great puppet master, had plans for Theodore, too, with his agents working behind the scenes to persuade him and Mabel to explore/excavate the monument known as ‘Great Zimbabwe’ and have it written up as being ‘Phoenician’ (or at least non-African) in origin. After exploring the Great Zimbabwe ruins in the summer of 1891, Theodore’s party made its way north to Fort Salisbury, before detouring to explore some gold workings, deliver tribute to a nearby chief, and then descend, via the Pungwe valley, to the sea at Beira for their voyage home to England, via Lisbon. Mabel was seeing the ‘capital’ of course in its very early months. Jan Morris provides a snapshot: ‘Until 1891 it had been a bachelor community and half its citizens indulged in African mistresses. Since then many white women had arrived, and the town had acquired a streaky veneer of decorum…The social centre of the colony was Government House, a pleasant rambling bungalow in the Indian manner…There were Fred Selous…Mother Patrick, the saintly young superior of the Dominican Sisters…Major ‘Maori’ Browne…ill-explained aristocrats like Lord George Deerhurst, who ran a butcher’s shop on Pioneer Street, or the Vicomte de la Panouse, popularly known as the Count…’ Theodore and Mabel encounter most of these characters at one time or another on their year-long adventure. Selous, it seems, avoided the Bents that September in camp Salisbury. As ever, he had things to do. 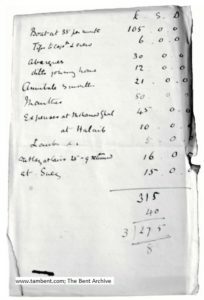 Such was the food crisis (alluded to by Mabel in her diary) that Selous was given the task of guiding in the relief column in. One morning Theodore (as he relates in his great book ‘The Ruined Cities of Mashonaland’, page 283) espies the legendary figure ‘hurriedly dispatched to bring up the waggons at any cost. A few weeks later we heard that they had arrived, and the danger which had threatened the infant Fort Salisbury was averted’. I was in the midst of a letter but implored the cart to wait while I shut it up as I knew it was long since you had news. I wonder if you saw the telegram I sent from Fort Victoria in answer to one to report progress. Well I will go on where I left off. We dined sitting on our bedding and soon went to bed, pretty tired. The days very hot and the nights sometimes dreadfully cold. It is rather hard on one not having some servant but we had no means of getting one. We meant to take a B.S.A.[C.] man as interpreter, but he was ill and we waited 2 days then took our head man, Meredith, who can talk Zulu, and one of our 9 [local men] could understand him, so we got on very well. We can say a few things now ourselves; so the wagons were in command of Alfred, no. 1 driver. Constable, cook, a black, leader [and] no. 2 driver of our wagon, and O’Leary, a man who is having a passage given; he feeding himself (not really though). He has been with us since May, digging at Z[imbabwe]. Since Fort V[ictoria], where a leader and driver left, we have been short of a leader and hoped to get one from Major Browne, who would have been glad to save his food and pay, as he has lost so many oxen, but he is so much behind and we can’t [wait? ], so we get on without. A leader is the lowest. He puts on the break [sic], drags the oxen into the right path, for they have no other guide, and takes it in turns with the other leader to go and herd the oxen when grazing. 2 naked [local men], or rather with 2 little skin aprons apiece, drive the donkeys and horses. We shall be so sorry to have to sell the latter at Fort Salisbury. No one can catch them so well as I, particularly mine, which races away, but they always come to get bread. We have been to some new large unknown ruins, Matindela, and discovered others of which we could find no name. 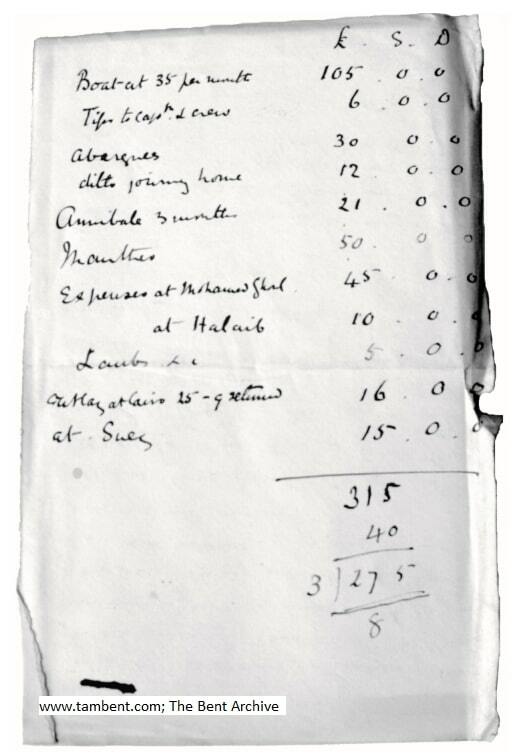 We must sell the horses if we go down the P[ungwe River], because one bite of the tsetse fly would kill them at once and we shall get at least £350 for them. The donkeys do not die till the beginning of the rainy season. We hear dreadful accounts of how the porters forsake you in the worst place if you do not comply with exorbitant demands. But we have 7 donkeys. It is about 400 miles. 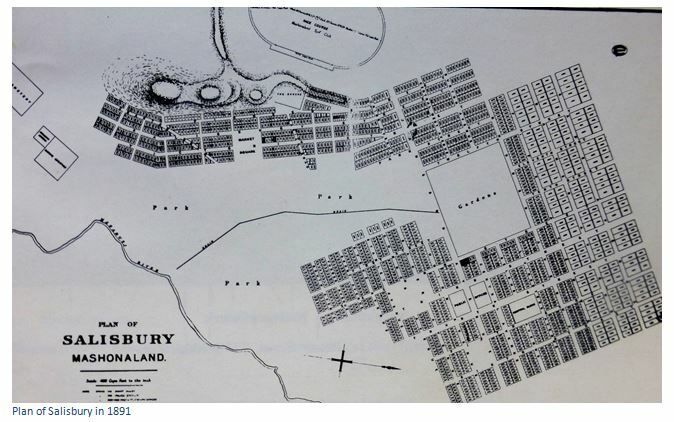 At Fort S[alisbury] we shall sell the wagons for little and the oxen for much and divide our clothes, sell some and carry what is absolutely necessary for the steamer from Beira to the Cape, and buy there, for the clothes, etc., we send down won’t be there in time to meet us. 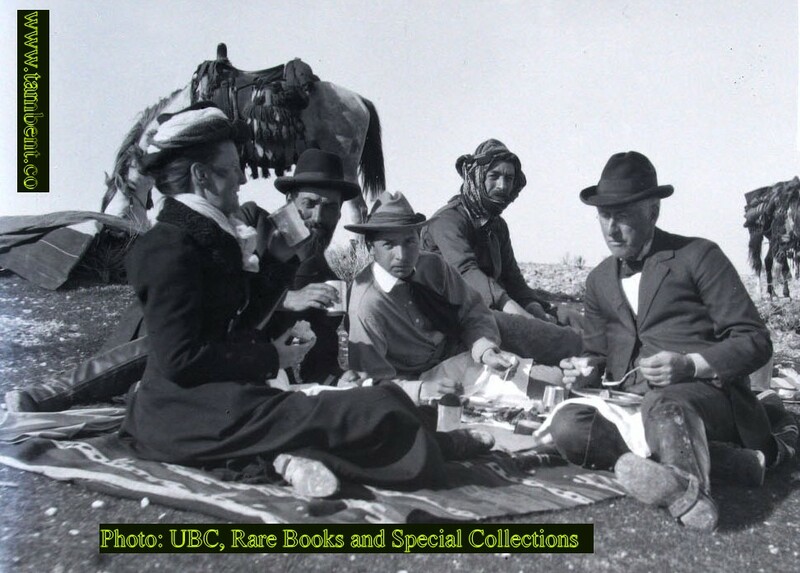 September 8th  We arrived this morning sending a rider on to ask where we were to outspan, for we are very privileged persons, so we are quite away from the public outspan, which is like a dirty farmyard and between the military and civilian quarters. We arrived neatly dressed and were met by invitations to luncheon and breakfast. Very nice not to have to wait till ours was unpacked. There is very little food here: jam 3/6 a pot, and milk – but you can’t buy it – 4/6; ham 4/6 a lb. We have more ruins to see, but our plans are not made till this afternoon. The camp is on half rations. We have now settled to go down the Busi, and the latter part, each in our own canoe. We are going first to Matoko’s, then to Makori’s; and to Matoko’s we are to be the bearers of the £40 of presents annually given, so are sure of a very good reception. We are to take a trooper with us and Meredith and Alfred, a driver, as personal cook, a very nice fellow, 10 donkeys and 2 of the Makalankas we have had for more than a month, besides other carriers. We are invited to take all our meals at the mess – a very substantial money saving now. 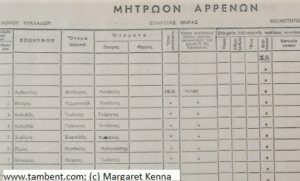 If it weren’t that we are permitted to draw rations we could not get enough food – no milk or meat. So now our men have a good opportunity of seeing that ‘Wilful waste makes woeful want’. Dr. Harris, who is head here now, is much pleased with Mr. Swan’s beautifully made maps. Well you see that we are doing well, but alas! When the oxen came in this evening one has lung sickness, so we don’t mean to let that be known and hope to sell the others tomorrow. At the mouth of the Busi we shall go down to the Cape to see the library there and call in Lisbon on the way and hope to be home the beginning of December. The rest of the letter is missing, but Mabel used to sign off as ‘Your most loving Mabel’, so let’s do that here. The ‘Mr. Swan’ referred to is the Bents’ particular friend Robert McNair Wilson Swan (1858-1904). The Swan brothers were mining emery in the Cyclades in 1883/4 when the Bents met them. He contributed an odd section in Bent’s Zimbabwe monograph on the subject of measurements and other data relating to the ruins, and not much taken into account today. He died, a rather sad figure it seems, in the Far East. Sister: Ethel Constance Mary Bagenal (née Hall-Dare, d. 1930). She had married Lieutenant Beauchamp Frederick Bagenal in 1870 and the couple had 5 children. Their family residences at Bagenalstown and Benekerry (Co. Carlow) were very close to the Hall-Dares at Newtonbarry (now Bunclody) (Co. Wexford). 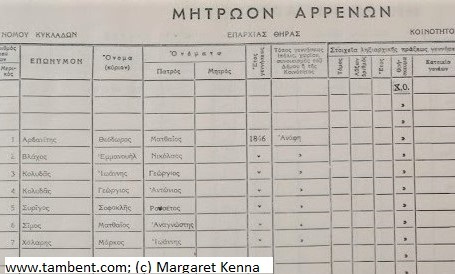 Sister: Olivia (Iva) Frances Grafton Johnston (née Hall-Dare, d. 1926) lived in Bournemouth (Theydon Lodge, Boscombe) on the south coast of England. Called Iva by her family she was the third wife of the Reverend Richard Johnston (1816-1906) from Kilmore, Co. Armagh (d. 1906). They married in 1883 when he was nearly 70 and Olivia was about 40. The couple moved later to Bath after Richard’s retirement from his Kilmore parish church. 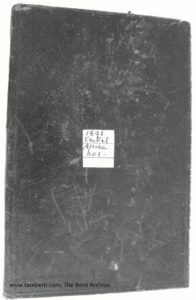 Sister: Frances Maria Hobson (née Hall-Dare), known to one and all as Faneen (b. 1852) married the Reverend Edward Waller Hobson (b. 1851) on 11 June 1891. (He played rugby for Ireland in his youth and went on to have a successful career in the Church of Ireland.) During the writing of this letter the couple were based at Moy, Co. Tyrone (1881-1895); the rectory of St James’ all but abuts the church. All Mabel’s letters were meant for circulation among her sisters and other relatives. Aunt: Olivia Frances Lambart (‘Loodleloo’), sister of Mabel’s mother, Frances Anne Catharine Hall-Dare (née Lambart, d. 1862). A spinster, Loodleloo was in effect the children’s guardian following the death of both their parents (their father Robert Westley Hall-Dare (b. 1817) having died in April 1866). She died on 9 July 1898, a heavy blow for Mabel (and her sisters), just fourteen months after the death of Theodore in May 1897. All Mabel’s quotes are from ‘The Travel Chronicles of Mrs. J. Theodore Bent. Volume II: The African Journeys‘ (2012, Archaeopress, Oxford). 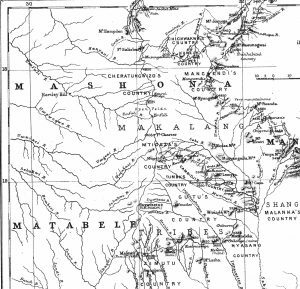 1) Detail of Map: ‘Part of Matabele, Mashona and Manica Land, illustrating the journey of Theodore Bent, Esq. from Shoshong to the Pungwe River.’ (Fort Salisbury (Harare) is roughly at Lat. 18/Long. 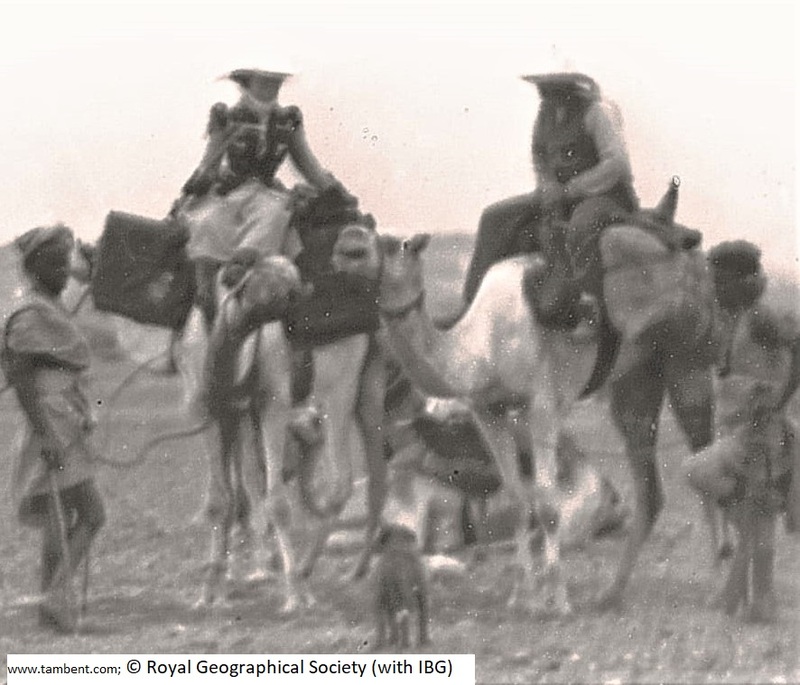 31) From ‘Proceedings of the Royal Geographical Society’, Vol. 14, No. 5 (May 1892), facing page 298. Private collection. 2) ‘Crossing a stream. The Pioneer Corps of the British South Africa Company on the way to Mashonaland’. Cover illustration (detail) from The Graphic, 25 October 1890. Private collection. 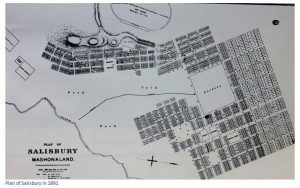 3) A plan of Fort Salisbury as Mabel and Theodore would very likely have encountered it in September 1891.